Susan Signorino, LMSW, CMC brings over 25 years of experience to the table prior to joining Care Choice Care Management as a geriatric care manager. 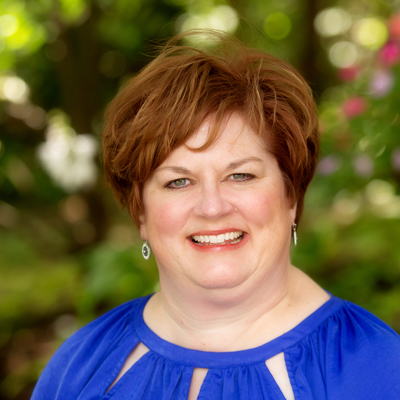 She received her Master’s in Social Work from Saint Louis University in 1993 and spent the first 17 years of her career working in medical social work for Jefferson Memorial Hospital (now Mercy Hospital Jefferson) in Crystal City, MO in the Hospital, Home Care, and Hospice. This is where she found her passion working with seniors, those with Alzheimer’s/Dementia, and those with chronic illnesses/life limited illnesses. In 2008, Susan explored the St. Louis market in areas of Not for Profit Work, Veterans, Adult Day Care, Alzheimer’s/Dementia Training/Education, Elder Law, and Long Term Care, both in Social Work and Sales/Admissions/Marketing. Through her 25 plus years of work experience, she has learned how to conduct assessments and how to identify potential problems, long term care planning, community resources planning, advice and advocacy, education and training, board/committee work, and facilitated Alzheimer’s support groups, a Breast Cancer support group, and a Grief support group. Susan created an email listserv in 1994 as a way to communicate with colleagues on community resources, case scenario problem solving, sharing resumes, job opportunities, etc. It started out simply as emails amongst peers, but then grew to Yahoo Groups. She then saw an opportunity to grow this into HelpMeSusan.Org, which now has over 1100 healthcare professionals and growing. She is also very committed in continuing her own professional growth. She continues to be very active in several professional groups, such as Home Care Social Workers, Social Workers in Long Term Care, Social Work Leaders in Health Care, and recently joined Aging Life Care Association. Susan has served on various Board positions and Committees over the years as a way to keep involved as well as to keep abreast of what is going on in the social work arena. In her personal life, Susan is married to Pasquale. They have a cavapoo named Dante. Susan enjoys traveling, volunteering, shopping, reading, and spending time with her family.